Eric M.B. Becker is the recipient of a 2014 PEN/Heim Translation Fund Grant for Selected Stories by Mia Couto. Read an excerpt from the translation here. Long before I began to translate Mia Couto—some eight years ago, to be exact—his name came up in a conversation I was having with the person who would later become my mother-in-law. We were just getting to know one another, and our mutual interest in literature provided a bonding point, one that persists to this day. At the time, my Portuguese was halting at best, and like any language learner, my ear often tricked me. Conversation after conversation, I heard the name Mia Couto, but did not pick up much beyond my mother-in-law-to-be’s wild enthusiasm for his writing. I assumed Couto was a Brazilian writer I’d simply missed, and when, a couple of months later, my mother-in-law-to-be gave me a copy of Couto’s short story collection Estórias Abensonhadas, there was much that surprised me: not only was Mia not a woman (an errant assumption based on the gender patterns of Portuguese words), he was not Brazilian, but Mozambican. His stories, and later his novels, soon became favorites. 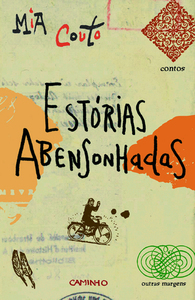 Eight years after first receiving Estórias Abensonhadas as a gift—and after having already made the leap from devotee of Lusophone literature to translator—I decided I wanted to try to bring the work into English. It was a decision that has brought immeasurable joy and mind-bending challenges (the two are not mutually exclusive). This collection was published shortly after the end of Mozambique’s 16-year civil war, which began in 1976. As the author himself notes, “After the war, I thought, there remained only ashes … Everything full of weight, definitive and without repair.” These stories, Couto has said, represent the seed that remained protected in a place the violence could not reach, the place where “every man is the same: pretending he’s here, dreaming of going away, and plotting his return.” The stories grapple with a legacy of colonialism and civil war at the same time they seek to express the vibrant multiculturalism of Mozambique. Couto’s work is often lumped together with magical realists like Gabriel García Márquez, though the author disavows the term. His fiction is closely related to a national project begun by post-independence governments in Mozambique that aims to accomplish for the country what Brazil has constructed since its independence from Portugal in the nineteenth century: a language that represents not the impositions of colonial rule, but the reconfiguration of an imposed national language into a form of communication truly Mozambican in nature. The result is an idiom uniquely Couto’s, but which borrows heavily from the 40-plus indigenous languages and cultures of his country. It may not be magical realism, but Couto’s world does indeed challenge our boundaries of what is real, and in the process, lays bare the limits of our knowledge. Couto depicts a world in which people “unhear” each other and have “dis-misunderstandings,” see coconuts bleed and wail, where plants don’t disappear but take on animal form and fly away, a world in which our senses, on whose advice we so frequently arrive at absolutely certainty, expose us to unfamiliar experiences that are no less real than our everyday routines but which we’ve been taught are irrational and not to be trusted. As one character says in the short story “The Waters of Time,” this experience is one of rendering ourselves “disordered,” of interrogating our beliefs and disrupting the narratives we’ve been taught to believe about our own societies and about Africa. Given the intricate layering of Couto’s text, the task of the translator is often that of invention. All of the writer’s work is laden with a poetic prose, a personal syntax and a liberal spattering of neologisms, some entirely of his own invention and others Portuguese adaptations he’s molded from words belonging to the indigenous languages of Mozambique. This unique idiom provides as much setting as the marshy waters and coconut groves present in some of these stories. My great satisfaction in translating this collection is not simply to be able to propose a different way of looking at our own familiar world, but to be part of Couto’s proposal of an entirely different world altogether.